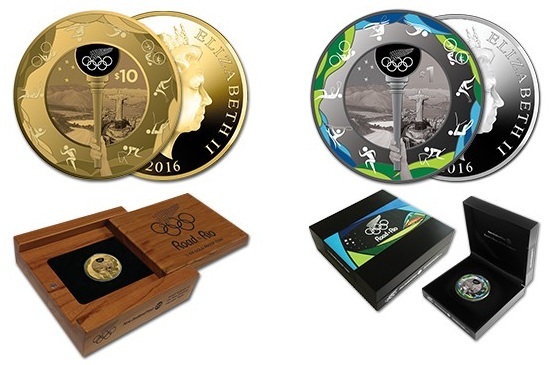 The Reserve Bank of New Zealand in association with New Zealand Post has launched (7th June) new gold and silver coins in time for the upcoming 2016 Summer Olympic games, which will be held for first time in the South American city of Rio De Janeiro. With just a little less than two months to go before the world embarks on the start of one of the most popular international sporting events, more than 11,000 athletes from over 200 countries and territories will congregate in Brazil to compete in more than 24 sports and events over a two-week period; the Paralympics will then follow from September 7-18, 2016. The modern Olympic movement was reborn in 1896. Since then, the modern games have occurred every four years with the exception of 1916, 1940, and 1944, owing to World Wars I & II. The first Olympics to be held on the Australian continent took place in 1956 when the XVI Olympiad was hosted in the city of Melbourne. The first Olympic Games hosted by an Asian city occurred in 1964 when Tokyo, Japan hosted the XVIII Olympiad. History will be made this August when, for the first time, the Games will be hosted by a country in South America. Rio de Janeiro is Brazil’s largest city and was the country’s capital until 1960. The city is known for its world-famous beaches, Copa Cabana and Ipanema. New venues have been constructed for the games and, as the southern hemisphere is approaching its winter season, it is expected that Brazil’s temperate climate will provide a welcome and helpful environment for the athlete’s performances, perhaps even assisting in the setting of further world records — “Faster – Higher – Stronger” being the slogan of the Olympics. The coins, which are produced by the BH Mayers Mint, Bavaria on behalf of the Reserve Bank, are designed by Jonathan Gray. 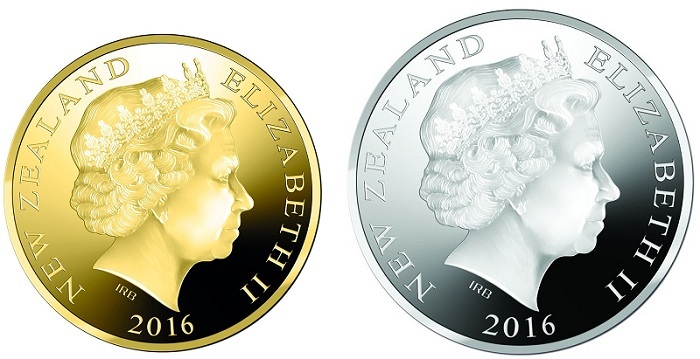 The gold and silver issues share a common reverse design that highlights the sports in which New Zealand has won gold medals. The ten stylized sporting symbols include selective coloring and are arranged in a circular fashion around an image of the statue of Christ the Redeemer, situated on Corcovado Mountain at the mouth of Guanabara Bay on a peninsula that stretches into the Atlantic Ocean. 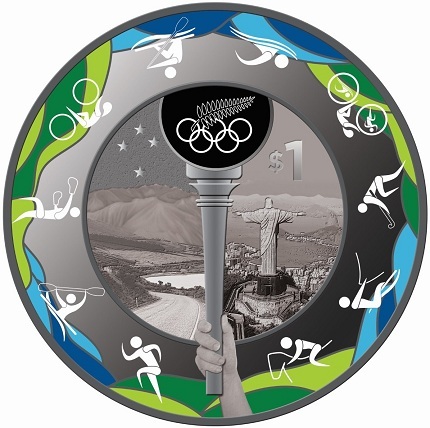 To the left of the design is an image of a typical open space of New Zealand, representing the journey from New Zealand’s beautiful landscape to the world stage in Rio. The obverse includes an effigy of HM Queen Elizabeth II and the year of issue. The coins are available to pre-order starting June 7, 2016. A set of commemorative stamps sharing similar designs are also available. 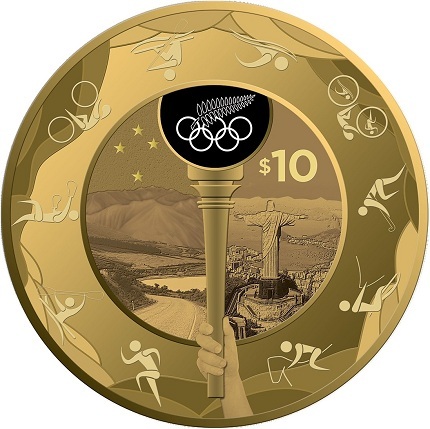 For more information on these and other coins offered by the Reserve Bank of New Zealand, please visit the Web site of New Zealand Post, official distributors. International sales will be dispatched where applicable.